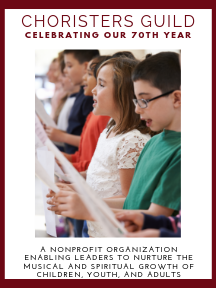 A collection of seven songs written with the primary-age choir in mind. The attractive music and texts will be accessible for young singers. The added use of a few handbells (2 oct. range) will add interest to the pieces. The anthems included are for Advent, Christmas, Epiphany, Lent, Palm Sunday, Easter and Pentecost. Songs included: "Prepare a Way for the Lord!," "Ding, Dong! Ding, Dong!," "Three Kings," "Grant, O God, Your Blessing," "Hosanna to the Son of David," "Alleluia! Christ is Risen!," "Come, Holy Spirit, Come"